The Tarte Holiday 2015 Collection has arrived at Sephora.com today! Yesterday, I did a Tarte Holiday 2015 preview as some of it was popping up on their site but today a majority of the items are up and available at Sephora. Here’s the deets on Holiday 2015! A five piece full sized limited edition brush set housed in a sequined brush box. A limited-edition set with full-size LipSurgence Lip Tints! A limited edition sequined case filled with Tarte essentials for eyes, cheeks, and lashes! I don’t have an image but there is an exclusive Ulta set that’s called Tarte Greatest Glitz Collector’s Set and Portable Palettes. As soon as I have images I’ll post! The Tarte Holiday 2015 Collection is available now at Sephora.com and should be launching shortly in stores! I had a Sephora gift card I was waiting and watching for the perfect opportunity to use, so I just got that Lips for Daze set. Perfect indulgence for me! Do you have any info on when items will be available again on the Tarte website? Was so bummed they took them down yesterday! I was too! I suspect by the end of the week you’ll see them! Thank you for posting this. I have a $100 Tarte voucher that expires the end of this month and have been waiting to see the holiday sets. I hope they are available on their website before the end of Sept.
Love your blog…you always have the most up to date info! aw thanks Michele! I think by the end of the week you might just seem that at Tarte! 🙂 happy shopping! The blush palette is available on Sephora right now, and I GOT IT!! yeah baby!! I’ve missed out the last 2 years, and am NOT about to let this one slip through my little puppy paws! Days like today make that Flash shipping SOOOO worth it! is the butter lipstick set an exclusive to Sephora? Sorry this is my first year, delving into the holiday palette stuff. that’s actually available everywhere. QVC should have it too soon! 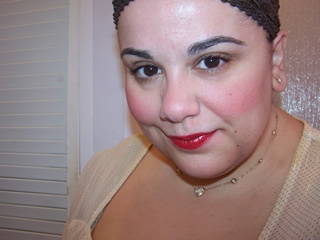 I love the lipstickset! Do you happen to know a dupe for ‘Bellini’? And do you know other online shops besides Sephora and QVC that will have it as well? I’m interested in the blush palette and the little blush set. I got last year’s sets and really love them. I kind of want the brush set! Super cute. I am a huge tarte fan. I just got the blush palette, mini lip sticks and the 5 full sized ones! I’m skipping all of the eye palettes this year. I got allll of tarte’s offerings last year as well as having previous palettes sooooo….I can’t justify the purchase. I even have the tartlette b/c it’s all matte. I love neutrals but..I need to build up some color. (other than purple) – The palettes are pretty much the same colors in theme and I have some variation somewhere of about any of those already. (thought it’s very pretty) – I think the sets are great to those that don’t have much tarte. BUT…I will still scoop up all of the blushes and lippies. I mainly use just those over all of my other lip stuff anyway. The blushes are always a fave! Love them! Yay! good for you Tami! Enjoy! The blushes are my fav too! Sadly… it would seem the Tarte Holiday collection is not yet available on the Canadian Sephora website… would you happen to have any idea when they’ll make it available for Canada? I’m not sure Neola sorry! I’m sure it’ll be soon! I wonder if the Tarte brush set will be the same quality as the permanent brushes. ..If so I want the brush set!!! Snagged the blush pallet and the 5 large lip things lol. They are fab. Oh I also got the eyelash curler b/c it’s so glam. I love the 5 lip colors so much I think I just might get a back up one. I would love to get the TARTE Light of the Party Set at Sephora website, but can’t effort this month. Do you remember how long the 2014 Holiday Set was available on Sephora.com? I was so shocked to see that the Urban Deay Spectrum Palette was sold out before it was even available for everyone but VIB and VIB ROUGE? It’s hard to say Claudia. It feels like everything sells out fast lately especially when Sephora’s FF event happens. I’m not sure what will and won’t be popular and which items will sell out and which won’t 🙁 Sorry! I wish I could predict that!